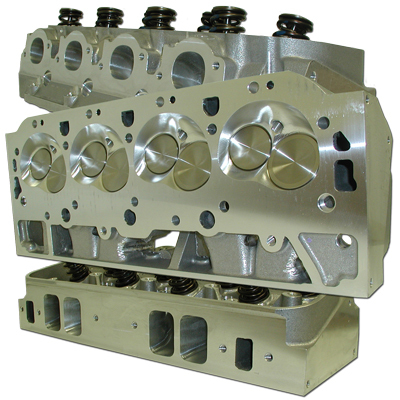 Dart's new CNC-machined PRO 2 aluminum cylinder heads with 380cc intake ports are just what the doctor ordered for large displacement big-block Chevrolet racing engines. Based on Dart's famous Race Series 355-T61 aluminum head casting, the new PRO 2 head's 380cc intake runners are paired with 144cc exhaust ports. 2.112" x 1.840" Raised .300"